NEW YORK, Oct 16 (Reuters) - Time Warner Inc's decision to make its prized HBO channel available to people who don't subscribe to Pay TV may delight such "cord cutters" but will likely crank up tensions with cable and satellite TV service providers. with issues of pricing and distribution likely to loom large. 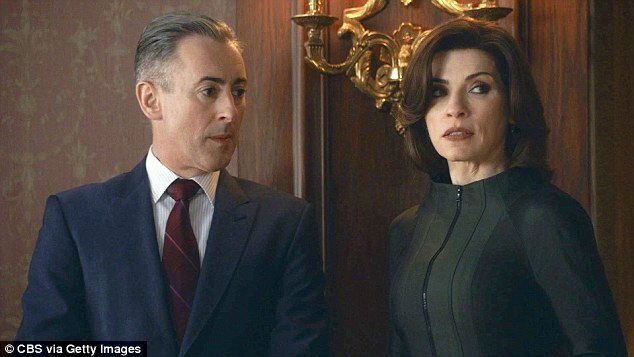 Indeed, CBS Corp upped the ante when it announced on Thursday a digital product that provides content like "The Good Wife" without a cable subscription for $5.99 per month. "Truth be told, there is no way to put a positive spin on this for the distributors," said Craig Moffett, senior research analyst at MoffettNathanson. Details about HBO's standalone product, slated to launch next year, were scant. HBO Chief Executive Richard Plepler did not discuss price or potential partners on Wednesday when he revealed the news before Time Warner investors and analysts. Still, the proposed online streaming service adds to a lengthening list of ways for consumers to circumvent pricey cable subscriptions, from Hulu to Netflix Inc and even a possible ESPN Internet channel. ESPN is owned by Walt Disney Co.
"They want to have the threat," said Thomas Lieu, portfolio manager with Westwood Group, which has a stake in Time Warner. Other "sticks" could include slowing down delivery of the freestanding HBO Go, reviving battles that cable operators such as Comcast Corp fought earlier this year with Netflix, which ended with the streaming service agreeing to pay the cable operator for faster transmission speeds. Plepler invoked "The Sopranos" mob character Paulie Walnuts when he said that when these deals come up, "we will get our taste." On the heels of an announcement that HBO would offer a standalone version of its streaming service, CBS announced it was rolling out its own. The network launched CBS All Access on Thursday, offering live and on-demand shows that can be streamed through apps and on the CBS website. Though Recode hails the move as the TV industry weaning itself off of cable providers, CBS says it considers the All Access service a supplement to what the network offers on TV. 'It’s about super-fans being able to get a lot more of our content,' said CBS CEO Leslie Moonves. The service is similar to what HBO Go already offers current subscribers of the premium cable channel. CBS All Access customers will be able to watch on-demand episodes of shows like Big Bang Theory or stream shows at the same time they air on television. There are also comparisons to Aereo, the streaming service airing network television without paying programming fees, that was sued into near non-existence by the networks. The biggest difference between what customers get on TV and what they get on their iPads is that All Access will not stream NFL on CBS coverage because it does not have a deal with the league. Customers will also need to be within one of the 14 cities where CBS owns a local station, limiting the service mainly to metropolitan areas like New York City, Los Angeles and Chicago. 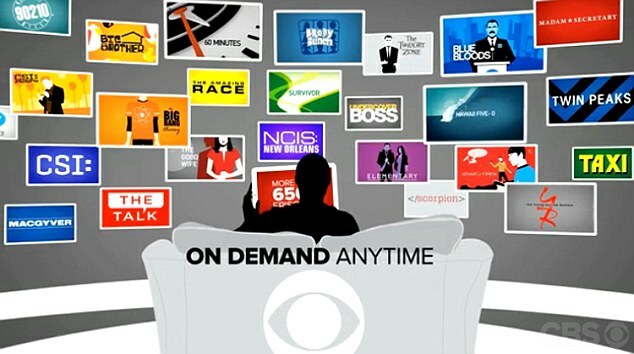 For those who hate television ads, CBS says that the $6-a-month service will stream older on-demand shows ad free and has cut down the frequency of ads 25 percent on newer shows. It's not a given that the service will pull in a significant share of customers looking to pay for CBS shows when they air for free or come bundled with cable subscriptions. The CBS audience is currently older than that of other networks, which means they watch most of their live television on the television. Recode notes Hulu Plus, which airs Fox, NBC and ABC shows on-demand, has 6 million subscribers, though that subscription also offers basic cable programming such as Comedy Central.